Dave’s Deli and Gelato and Lost Tavern Brewing both announced today that they will be opening up shop early next year in the Moravian Book Shop. The book shop, which changed hands earlier this year from the Moravian Church Northern Province to Moravian College, and is being managed by Barnes & Noble, has been undergoing renovations both inside and outside of the facility, most visibly with a grey and blue paint job in recent days, a nod to Moravian’s colors. The deli and brewery will take the place of Colony Meadery, who previously operated a tasting room and food service area in the rear of the store until this year when they declined to renew their lease. They have since announced plans to open a taproom on Bethlehem’s SouthSide at the former location of Mario’s Dry Cleaning Service on Third Street. The new space in the Moravian Book Shop will be an ‘open market’ concept, as described by Dave’s, and will include items they’re known for including sandwiches, gelato, and a few additional items special to the Main Street location. Dave’s, which started in 1992 at 512 and Route 22, moved to its current Stoke Park Rd. location around 18 years ago, and has since opened and closed shop on Morton St. near Lehigh’s Campus. The book shop location is also a bit of a homecoming for Dave’s, who operated the cafe space from April of 2010 until being replaced by Retro Cafe in 2011. 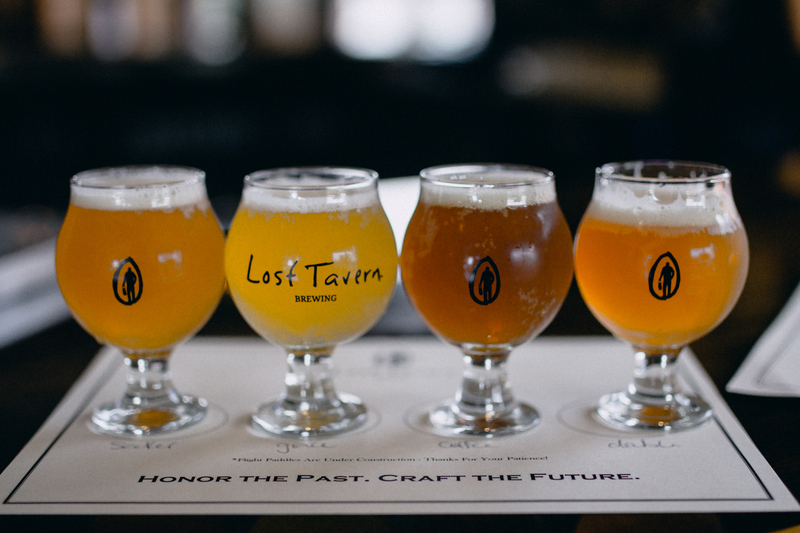 Lost Tavern Brewing, which opened in 2016, is a Hellertown-based brewery that boasts a large tap list and, since opening, quickly became a destination for craft beer lovers. With a variety of styles, but a particular penchant for producing endless variations of the ever-popular IPA style, the crew will be bringing a tap list full of their brews to Bethlehem to quaff alongside Dave’s eats. Not only will they serve their own beer, but they’ll also have guest taps from other Lehigh Valley breweries (something of a common thing to see nowadays among LV Brewer’s Guild members) as well as other PA breweries. They’ll also offer beer to go, and have a refrigerator stocked with beer to take home.